Re-capture customers who abandoned your site because the item they wanted was out-of-stock at the time. 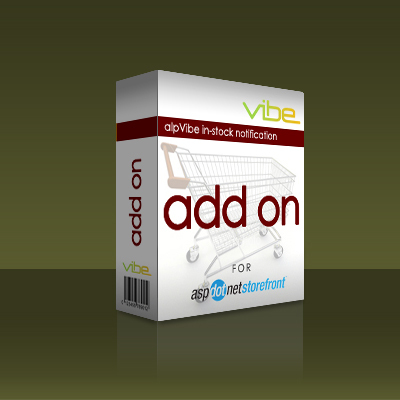 The alpVibe AJAX In-Stock Notification Add-on makes it simple for shoppers to request notification directly from the product page when an out-of-stock item is back in stock. AJAX functionality prevents unnecessary page loads and reduces shopper frustration, while full automation sends the notifications without any additional administrative effort as soon as inventory for the item is set to a positive value. Available for most versions 9+. If you require support for versions you don't see please contact us at sales@vibecommerce.com.